I photograph a lot of families. 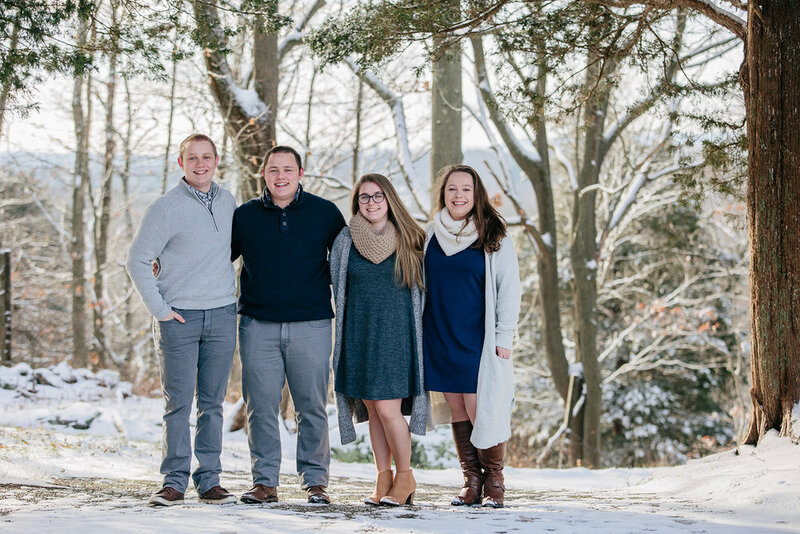 Typically, as kids get older, it's tougher to get yearly family photos. When the children go off to college, family photos virtually stop. Life gets busy, but having updated family portraits is so important. 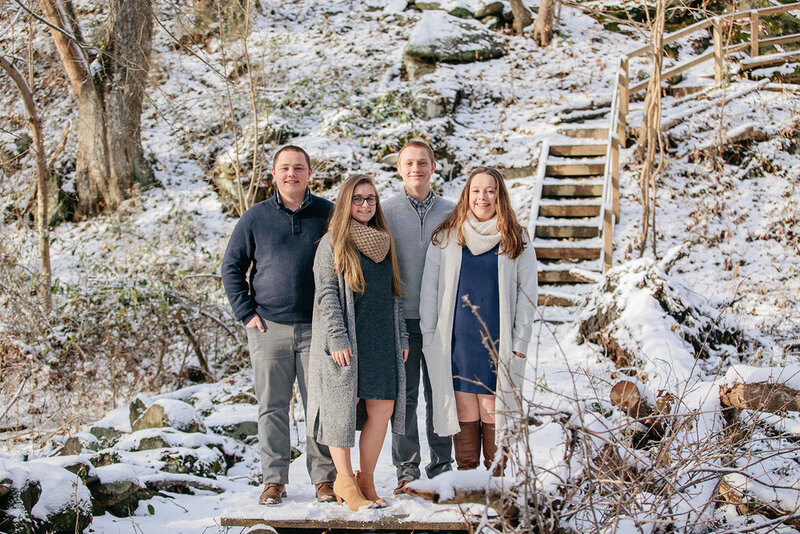 When Kelly contacted me about taking some updated photos with her siblings for her parents for Christmas, I was thrilled! This happens rarely, so when it does, I get pretty excited to take these photos. The weather this time of year can be so unpredictable. 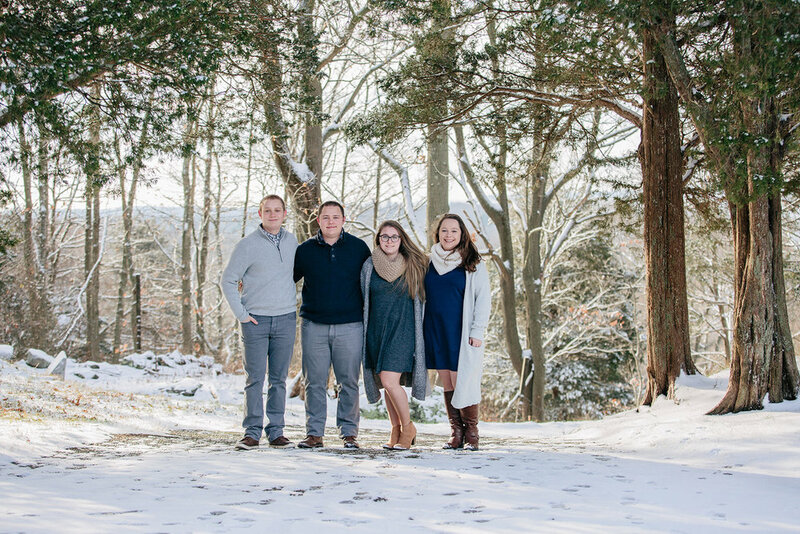 We scheduled this family session, and we received a small snow storm the day of, so we had to reschedule. The following day the weather looked great so we scheduled it for the following morning. I'm so glad we did! There was freshly fallen snow all over, the sun was out, and the weather was warmer than expected. We lucked out with a perfect fall (technically it was still fall, but it's basically winter!) day. The snow made for a gorgeous backdrop, and we had a great time taking photos. This session took place at Fort Barton in Tiverton, RI. It's a great little spot for not only photos but for walking trails. 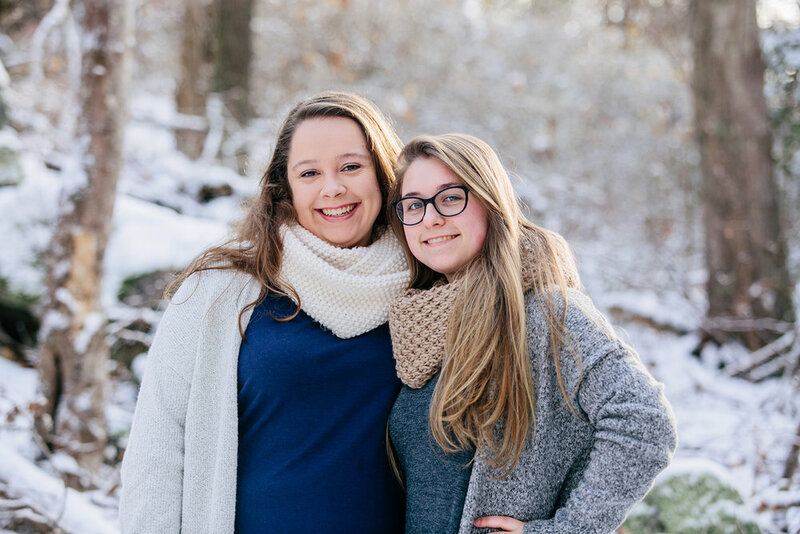 Here are some of my favorites from this sibling photo session!